"Thank you for your enquiry for HIS HD 2400PRO iFan 512MB (64bit) DDR2 Dual Link DVI & TV P.."
"nice graphic card....for any game...working...with high setting....beautiful...."
"купил в августе 2009 года. карта полностью соответс.."
"Great card, excellent on price, even greater on reliability. Thanks HIS for a wonderful pr.."
"good day! im a hisdigital product user for a long time specially there gpu products, very .."
"I've bought this Card for my own custom desktop, and it's worked amazing so far. 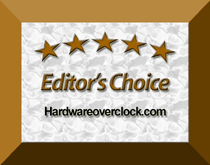 I'm curre.."
"Thoroughly recommend this card especially if you have an Fast older system and resist cost.."